You may think of it as somewhere to leave your car, but a clean and professional looking car parking area can have a big impact on your business. If you want to make the best possible first impression on customers, clients or employees then investing in professional cleaning services for driveway cleaning and commercial graffiti removal make a great deal of sense. If your commercial parking is strewn with litter and debris, you’re sending a strong subliminal message to visitors that you don’t care about cleanliness and attention to detail. This can impact on the way your customers and clients think about your brand, your level of professionalism and the quality of service you provide. Worse, it sends a message that you’re not focused on your environmental responsibilities and that’s a big turn off. Paying attention to the upkeep of your exterior areas shows the community that you’re committed to cleanliness and safety. If you allow your parking area to be treated as a communal litter bin you’ll start to attract pests, and a large infestation of rats and other diseases carriers can cost you time and money to deal with. By minimising the problem and using a professional driveway cleaning service you’re being responsible members of your community. When you’re trying to attract new talent or forming new partnerships, first impressions count. You may have the most impressive offices, but a poorly maintained parking area and driveway will be a real turn off for a discerning business partner or prospective employee. You don’t even have to do the work yourself, as a professional pressure washing service will do all the hard work for you. If you fail to maintain your parking areas, you’re laying yourself open to potential problems. Large pieces of debris can damage car tyres and bodywork and you can end up footing the bill or settling liability claims. 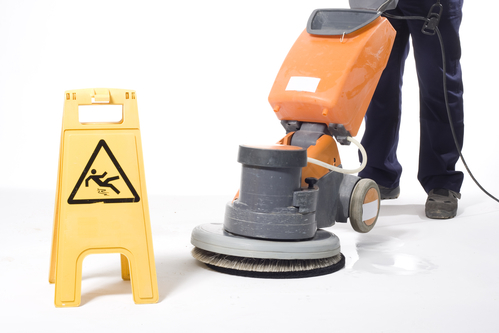 Setting up a monthly visit from a driveway cleaning service will keep your parking areas spotless.